Master of None is a comedy drama streaming on Netflix starring Aziz Ansari as an actor living in New York. The show has been praised for its depiction of a male feminist. Have you seen Master of None, and if so, what did you think of it? 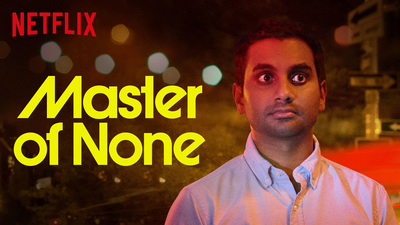 Master of None series promotional image, Netflix. Fair use. I quite enjoy this one. It's witty and it's nice to see a male feminist as a main character for a change. I haven't watched this yet, but I've loved almost every Netflix show I've checked out thus far, so I will be checking out Master of None, for sure. No, I haven't seen this, nor heard of it before. I didn't see it as a portrayal of a 'male feminist' so much. I think that New Yorkers are often depicted in film and TV as being progressive, modern and open minded. The show is more about Aziz's dating life and the awkward moments that come with it. He is very loveable and the humour in the show is consistent with Aziz's stand up. It's very light hearted and fun to watch!